We are one of Australia’s largest branded dental networks, and we’re still growing! At Pacific Smiles Group we believe in our True Purpose to improve the oral health of ALL Australians to world’s best. Join our friendly and supportive Dental Assistant team, based at our new Centre in Aspley. most importantly SMILE from the inside, and out. A desire for a career, not just a job. Not to mention working with a friendly, fun and supportive team! Click apply now as the role is interviewing immediately. Please Note: resumes must be in MS Word format. 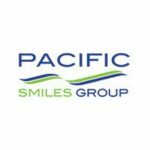 We look forward to welcoming you to Pacific Smiles where we live and breathe SMILES – Service, Mutual respect, Integrity, Learning, Energy and Safety. To learn more about Pacific Smiles Group be sure to check us out at www.pacificsmilesgroup.com.au or connect with us on LinkedIn or Facebook. Pacific Smiles Group is proud to be an Equal Opportunity Employer and we invite all suitably qualified applicants to apply, including Indigenous Australians, and people from diverse backgrounds. Pacific Smiles Group is proud to be a Major Sponsor of three (3) key programs of the Australian Dental Health Foundation which facilitate free dental services to members of society least able to access dental care.